No signals on 20 but W1AW and no response to CQs on that band. 40 and 20M were quite good and activity picked up a bit. 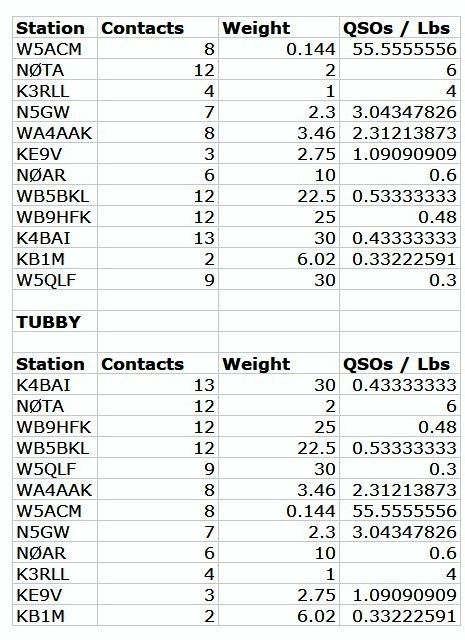 40M saw QSOs as far away as NH, IA, CO and as close as FL and VA. 80M appeared not to have long skip. Every signal heard was pretty strong. 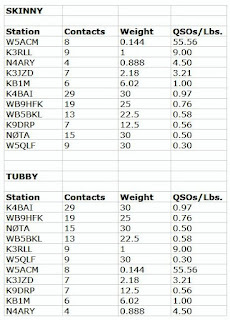 QSOs out to MD, IA, CO. 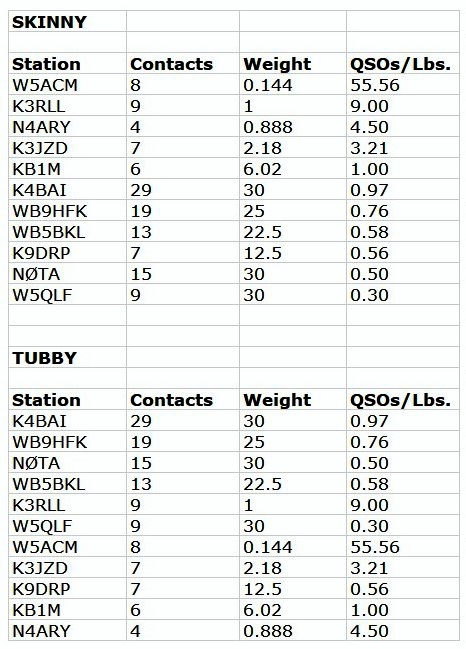 Thanks for all QSOs. 73/72, John, K4BAI. This was my first Spartan Sprint. It wasn't easy, but I had a great time. Thanks for a fun event. K3/10 @ 5W to a 40M extended double Zepp. One QSO on 20M and the remainder split between 40 and 80M. One QRO contact removed from my score. Best signals: 20M - KB1M, 40 and 80M - K4BAI. 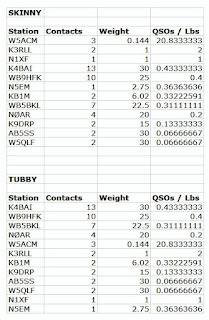 Very nice to work a couple of QRP folks I had not heard in a while. As always, my thanks to the organizers. Had fun. The ATS-3a was doing quite well this month. My CW was “OK” with no additional burnishing on the paddle contacts. The batteries appear to be running well. I use a pair of 170 mAh LiPo cells glued to the top lid of the balsa-wood rig box. The radio makes 3W out, and this is the longest service I have had from this type of LiPo cells in this rig. I am impressed, and hope they continue to perform! Conditions were nothing special, but 80M was very noisy. Participation was UP! I got 6 QSOs on 40M, but a marginal 2 QSOs on 80M. Thanks to all! 72 de Andy, W5ACM Houston, Texas. 40M very poor. 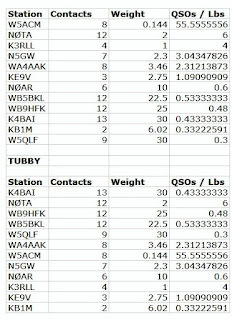 QSOs in TX, CA, NH, Heard NK9G/7, but Rick could not hear me. Yet, he called me on 80M! 80M in good shape all over. 40M: 4 QSOs. 80M: 15 QSOs. See you all next month. 73/72, John, K4BAI. On the road, poor antenna, only for 40m. Result: not many contacts! Rig was FT-857 at 5W to vertical. RV lot is small so ant is crummy. See ya' next month! Got a late start and heard nothing on 40m. The following patient and skilled operators pulled me out of the 80m noise: WB5BKL, K4BAI, W3KC, NØAR, and K9DRP. Thank you, everyone! Equipment weight: KX3 & amp; 4 Amp LiPo at less than 5 lbs. I went out portable in a park in Chandler, AZ. Park is built on top of garbage dump I am told. Conditions were pretty decent, SFI 78-8-1. 10 states. 9 Qs on 40, 6 Qs on 80. 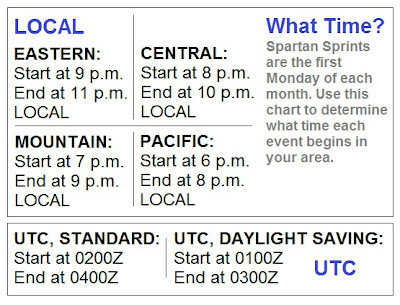 My 1st time doing this portable Spartan Sprint and it was fun as all portable ops. Rig was KX3 @ 5 watts. Battery: a 4 Amp LiPo which seemed weak by end of Sprint. Antenna is a 88’ Doublet up at 44’. K3/10 @ 5W to a 40M extended double Zepp. Quite an improvement on last month - actual propagation! Had to fix the south end of the 40M extended double Zepp before the sprint - it's now slightly higher (the advantage of using trees for the supports!). 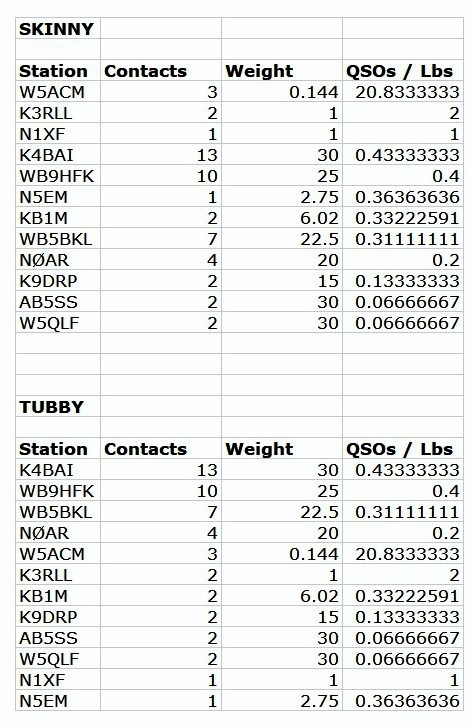 QSOs on 40 and 80M. 10 states this time - and doubles with NØTA, NK9G/7, and NØAR. Best signal on both bands was KEØTT. 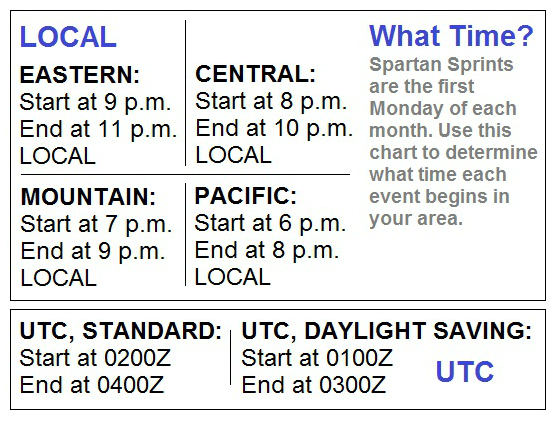 Had to give up about 03:30Z or so - too tired. My thanks to all. Had fun.